Whether you're running a non profit or a charity organization, online donations are one of the promising sources of getting generous contributions from the internet users. WordPress powered websites has several good options at their disposal to integrate donation accepting system. Although power users can integrate such kind of system manually, the majority of bloggers prefer plugins for the same. These handy donation plugins are easy to configure and your donation accepting section gets ready in no time. I've selected 10 best donation plugins for the WordPress platform and each one of these is flexible and secure allowing you to collect monetary contributions from your audience. Almost each of these plugins has support for PayPal which is a popular online payment processing gateway for millions of users. Let's check them out now! Donate - This stable donation plugin processes donations via two popular payment processing gateways. The plugin configuration interface is obvious and user-friendly. You can place the donation button generated through this plugin anywhere within your design whether it's sidebar, footer, post or a page through a shortcode. One can also customize and stylize the donation button with ease. You can also use this plugin in two other popular languages. Its handy preview feature lets you see all the changes almost instantly before you make the button live on your blog or website. 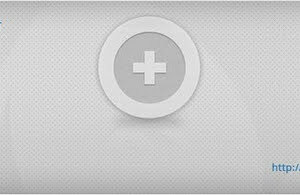 Seamless Donations - This is one of the promising donation plugins with lots of handy features. You can configure repeating donations with this plugin including the ability to send customized thanks-message to all your donors. It also allows donors to remain anonymous and lets you track all your donors from within your dashboard. To start using this flexible plugin all you need is your PayPal email address and the placement of a donation button shortcode at the right place on the blog. You can receive donations in US dollars from the entire globe through this excellent plugin. MyCausora Donation Widget - This unique plugin rewards donors on your website with thank you gifts encouraging more donations from them. This plugin generates detailed reports related to the donors helping you get deeper insights into the donation trends. You can choose from hundreds of causes to support it on your blog. Its incentive based donation system helps in getting more donations than the normal system. You can customize the donation widget to match with your blog design. You can also configure default donation amount which is donor changeable. Olimometer - This intuitive donation collecting plugin not only lets you place PayPal button on your blog, but also displays thermometer both in horizontal and vertical formats to showcase the donation statistics. You can customize the skins and orientation of these thermometers to suit your needs. You can embed them as sidebar widgets as well as standalone images at the desired place in your design template. If you do not like the supplied skins with this plugin, you can easily design your own custom skins for the donation thermometer. This plugin is light and handy. Multi Currency PayPal Donations - If you have a PayPal account with multiple currency support, then this plugin is a boon for you. Generally, PayPal introduces a processing fee while doing currency conversions. This plugin can accept donations from across the globe in different currencies. This way, it makes your donation campaigns quite flexible and user-friendly. If you do not have a multiple currency support PayPal account, you can easily use this plugin to process regular donation money. This plugin has optimized code and doesn't slow down your blog or website. Doughnut - PayPal Donation Plugin - This powerful donation plugin has several custom options that can be configured to prepare a unique donation campaign for your blog. It uses a shortcode to embed the donation section within the design. You can add custom fields with the donation button that includes custom domain and data tracking mechanism. It also has a sandbox feature that lets you test the donation button before making it live on the blog. Its custom settings interface is user-friendly and even a layman can easily configure different custom options with any hiccups. Easy Donation - This is yet another popular donation plugin that supports several payment gateways including donations given through credit card. You can easily customize the button as well as the donation copy as per your needs. Like other donation plugins, this one also supports the shortcode method to easily embed the buttons at your desired place. Default donation amount can be configured to simplify the entire process for the donor. You can easily embed donation buttons on a custom designed page. This secure plugin is completely compliant with industry standards. Smart Donations - This highly popular plugin is an all-in-one solution for all your donation campaign needs. It has tons of features to run successful donation campaigns. You can use both buttons and forms to accept donations. You can use 3 different types of donation buttons through this plugin. Its unique slider feature lets the user select the amount intuitively which also includes emotion smiley that changes as per the amount is given in the donation. Apart from creating custom donation forms with different fields, you can also configure custom thank you emails for the donors. Donately Donation Form - This simple yet flexible donation plugin can be used to pick donations through PayPal as well as through major credit cards. You can embed the donation section anywhere in your blog design through a handy shortcode. Its interface is smooth without any confusing options. One can also pick recurring donations through this excellent plugin. It supports both Stripe and Authorize.net payment gateways for processing the donations. Anonymous donations are also supported by this plugin. Social sharing & donor tracking are also included in it. Donate Extra - And last but not the least, this donation plugin lets you accept normal as well as recurring donations through PayPal gateway. It also supports anonymous donations to encourage more donations. You can also display a wall of donors through a widget to showcase top or frequent contributors. You can also create custom donation forms through this plugin. Its administration interface is easy-to-use and provides useful options to manage entire donors' data. You can also integrate PayPal IPN with this plugin to take advantage of the associated features.